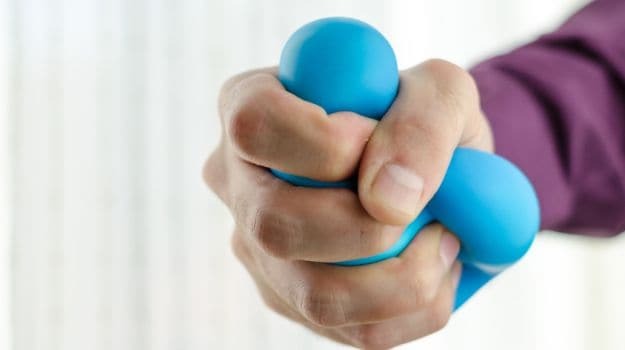 Be it physical or emotional, taking unnecessary stress can not only give you headache orneck pain, it may also cause your blood sugar levels to rise increase the risk of developing Type 2 diabetes. According to health experts, our changing lifestyle and sedentary routine are the main reasons behind the rise in the incidence of diabetes in India. Marked stress causes the release of several hormones like adrenaline and cortisol that tend to spike the blood sugar levels and also increase the blood pressure and pulse rate. “If you are constantly under stress, previously transient sugar elevation becomes persistently high, resulting in diabetes. Stress also causes changes in the eating pattern, resulting in ‘binge eating’ and weight gain which are also factors that affect the risk of diabetes,” Dr. Anoop Misra, Chairman, Fortis C-DOC, told IANS. Stress can affect diabetes control, both directly and indirectly. It is widely recognized that people with diabetes are regularly stressed and are more likely to have poor blood glucose control. “Both physical and emotional stress can prompt an increase in these hormones which results in an increase in blood sugar”, says Dr. Sunil Mittal, senior psychiatrist and director, Cosmos Institute of Mental Health and Behavioural Sciences in the capital. Shared stress can also lead to similar dysregulation of hormones in children. If they live in a stressful environment, children may have a similarly dysmetabolic state. “According to recent findings, stress hormones cause an epigenetic change in sperm. So when the father is stressed, his hormones have the potential to raise his offspring’s blood sugar levels. With higher blood glucose levels comes a higher diabetes risk, especially Type 2 diabetes,” noted Dr. Ajay Kumar Ajmani, senior consultant (endocrinology) at BLK Super Speciality Hospital. The primary function of these hormones is to raise blood sugar to help boost energy when it’s needed the most. Think of the fight-or-flight response. One possibly can’t fight when their blood sugar is low, so you need a boost to meet the challenge. Both physical and emotional stress can prompt an increase in these hormones, which results in an increase in blood sugar levels. By making some simple lifestyle changes you can combat and cope up with stress which will reduce the risk of diabetes and even help in controlling diabetes. “One should engage in physical activities, like yoga, gymming and dancing. Aerobics and pilates are also greatstress busters. Make a few food Add more fibre to your diet by choosing whole grains,” Ajmani suggested. A new study, published in the journal Molecular Psychiatry, shows that showed that people who suffer with depression and metabolic risk factors such as obesity, high blood pressure and unhealthy cholesterol levels are more than six times more likely to develop type 2 diabetes. Diabetes is a lifestyle disorder and is becoming increasingly common these days. “Take small breaks through the day (10-15 minutes each) to indulge in things you enjoy the most like music or playing your favourite sports. Mediation helps a lot too,” Misra added.